A combination of two highly researched strains of live cultures, Lactobacillus rhamnosus GR-1® and Lactobacillus reuteri RC-14®, which have been clinically trialled by over 2,500 women around the world. The two strains of this product are proven to survive to reach the intimate area. This live cultures supplement is safe and appropriate for women in the menopause, as well as for pregnant & breastfeeding mothers. Alongside taking this product, consider lifestyle factors such as diet (for example reducing your intake of sugar, which can feed harmful bacteria and yeasts), increasing your water intake, and avoiding wipes, douches and soaps in the intimate area, which can upset the natural vaginal pH. Free from gluten, dairy and yeast. INGREDIENTS: Stabilisers: Maltodextrin (Natural Source), Microcrystalline Cellulose; Live Cultures: (Lactobacillus Reuteri RC-14, Lactobacillus Rhamnosus GR-1); Vegetarian Capsule: Hydroxypropyl Methylcellulose, Titanium Dioxide; Anti-caking Agent: Vegetable Magnesium Stearate. Take one or two capsules daily, or as professionally directed. Take with food, preferably breakfast. For best results, take daily. 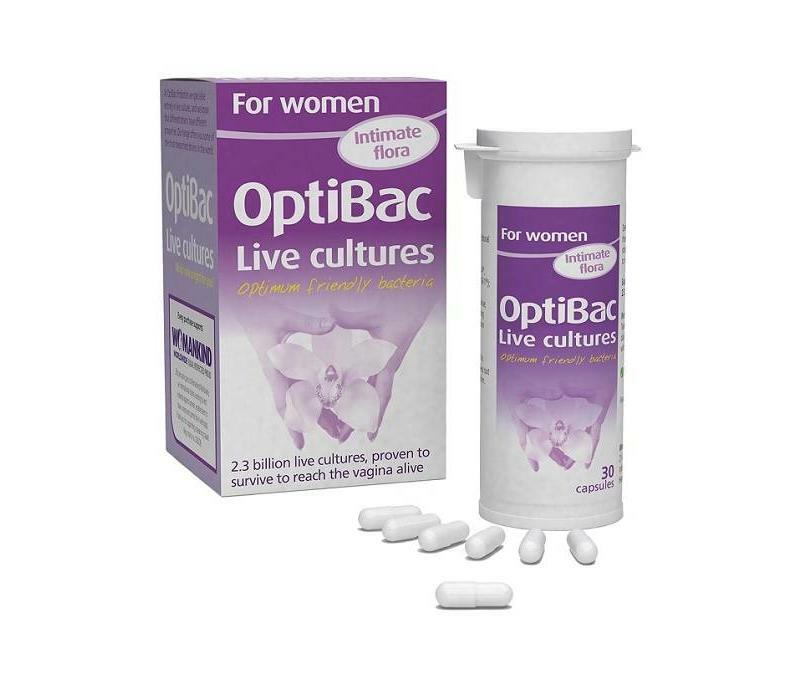 OptiBac live cultures may be used on an ongoing basis. 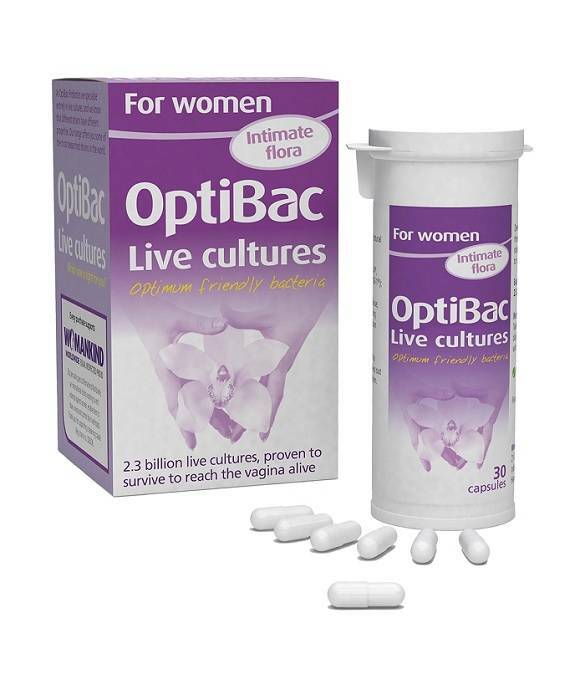 'For women' can safely be taken alongside other supplements in the OptiBac range.